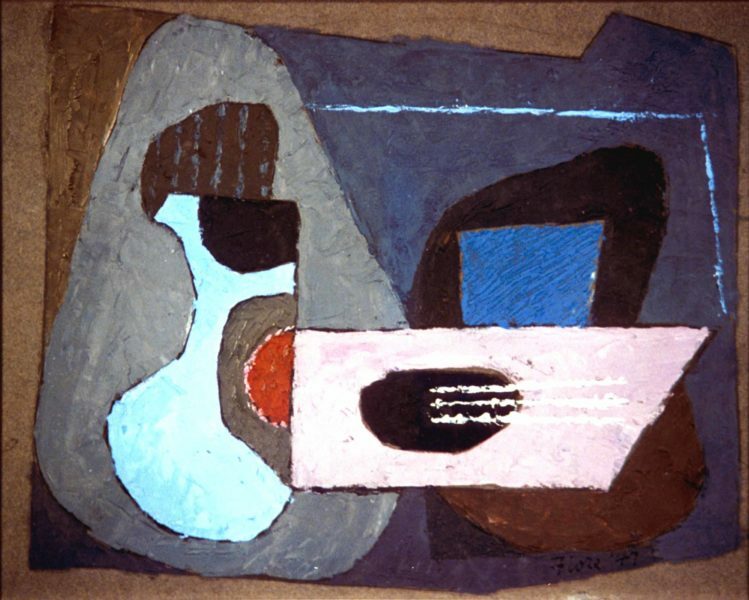 Joseph Fiore, Guitar Still Life, 1947, oil on cardboard, 10.62 x 13.18 inches. Black Mountain College Collection, gift of the people of Western North Carolina, and the Artist in honor of Reuben Holden, 1996.04.02.21. Students explore great themes in art such as still life, landscape, portraits and more to create artworks using a range of media. Each student creates unique works of art.